It has been a great blogging year, well great year, really – but blog-wise, the year was the first when I could somehow manage two blog a month challenges – in February with Shail, and the NaPoWriMo , in April 🙂 It’s been a wonderful journey, and I would so like to thank each of you readers for making it all the more meaningful. The concert hall at the Sydney Opera House holds 2,700 people. This blog was viewed about 19,000 times in 2015. If it were a concert at Sydney Opera House, it would take about 7 sold-out performances for that many people to see it. Categories: 2015, Blog Stats, Blog stuff, Blog Tradition, Review | Tags: 2015, Blog Stats, Blog Tradition, Review | Permalink. Open House Time on all WordPress Blogs, ain’t it? And here’s mine, and yours too, if you’re a visitor here, or one of those who leaves behind your precious words 🙂 Thank you, for your time, your affection, and the wise words you’ve gifted the blog and blogger! Hope you all have a great, safe and successful 2014 too! So, without much ado, let me hand you over to the Research Department and the stats helper monkeys of WordPress! Categories: 2013, Blog stuff, Review | Tags: 2013, Blog stuff, Review | Permalink. This one has been writing itself a long long long time 🙂 Since about March this year! 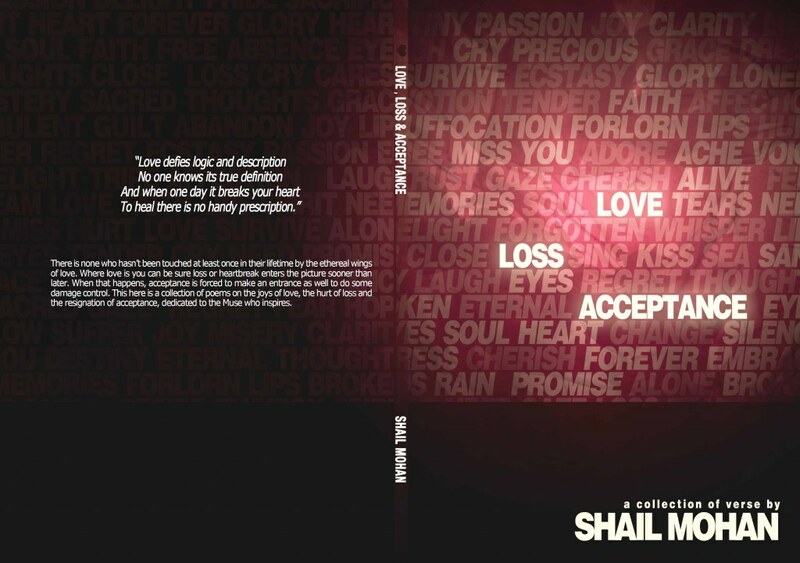 I hesitate to call it a review; let’s just say it is my perspective of Shail Mohan’s debut publication, an Anthology of her verse, titled “Love, Loss & Acceptance“. Sigh. No, it really isn’t. But we’ll let that be, won’t we Shail? I know you understand, and that is what matters finally! It has that touch-it-as-tangible-as-it-can-get sense of achivement for anyone, who has dreams to peddle, muses to satisfy, who revels in the myriad expressions of the one emotion that encompasses all – Love; whose acceptance takes one beyond life; whose loss is perhaps the ultimate in agony that borders on an ecstasy. her offering is so unconditional, so complete, and you know right then, you are in for a treat! Having been an “English” student through B.A., and subsequent courses, and even now as a supposed Teacher (learner more like it 😛 ) I’ve been fascinated by poetry more than prose; the way poets string emotions, intangibles, and thread them, weave them with such dexterity and honesty – to tell a truth, or embellish a lie. No, contrary to the norm that in order to appreciate poetry you need to have an in depth knowledge of the form, from Chaucer, to perhaps Bob Dylan, or even Eminem, one need not be (and I must confess that I am NOT) a “well-read” person, not in that sense! I love what experiences any verse gives. And I say all of this to underscore what Shail’s verse means to me. I love the way she thinks (the way I see how she thinks, ie! ), how she transforms her thoughts into the tangible quality of her verse – and makes it as delicious and palatable, allowing us to gorge on it, as “Melted Chocolate” ! 😀 (Page 20). That one has to rate as of my favourites in the book! 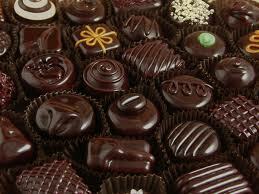 You do actually melt into a puddle of sheer mush and chocolate! Loverrrly! I have known you since long? And when I read “The knot“, I am overcome by a chill. Still, that too is Love! And the poignant note continues, this time staccato as well, in “You“. Love hurts, and heals. And there is more: “Dreams“. Sigh. The last poem in this section “Ultimate Freedom” (Love), is perhaps the most touching of all, for me. Love is there, limitless, yet bound and finite – what more can suffocate? It is a bitter sweet reminder that love is passionate, it is warm, but is also possessive, and seeks to bind. The coldness of loss sets in right from the strange sadness that envelops one with the first of the poems here, “The Search“, searching for the reason, and not finding it! Loss, isn’t that how it is? And then the pain pours out through “Echoes“, showing its tenacity in the next poem, “Frail Spontaniety“. “Captive Love” is yet another, where utter loss just does not let you be! Aren’t we always promised so much by Love? And while many do get most of it, somewhere down the line, the hand that held yours, suddenly slips slips away! You walk the way, alone. “I have been there before“, that is what it speaks to me of. “The Wilted bloom“, along with the theme of Love goes on to consistent form in verse: a noun+verb combination in each line. And that too, without seeming unnatural! No mean feat that! When pain gets very intense, it becomes deadweight and frozen. “Frozen Tears“, quite starkly brings one this experience. Acceptance most times is indeterminate in its honesty. Sometimes you do accept because you have no choice. Sometimes, because you understand. Sometimes because you want to, and move on. The many overtones of that one ability is what Shail brings to us here. There is poignancy, there is despair too, but there is an honesty in all of the verse here that touches deep. The pleasure that love has been, and though now not there, still there exists an optimism in meeting with Love again. “Broken Bits” speaks that way, to me. As with any kind of savouring, I have left the best for last. My absolute favourite in the entire collection has to be this one: THE DREAM PEDDLER. And that is why I have appropriated its title into the title of this post too. This poem literally, figuratively comes alive all shimmer and gossamer texture, sweet and sad, in its brilliant concept itself! Thank you Shail! And now I am looking forward to your book of short stories! That promises to be just as, if not more wondrous! Categories: Book, Non Review :D, Review, Shail Mohan, verse | Tags: achievement, Achievement, Book, Loss & Acceptance, Love Loss &Acceptance, Non Review :D, Review, Shail Mohan, verse | Permalink.